of 14 leadership books published in 10 languages. keynote speaker and workshop leader. John speaks widely to corporate, professional, military and university audiences about life-changing leadership. 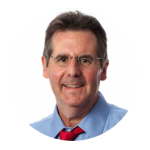 John Baldoni provides executive coaching and advisory services resulting in aligned behavior change. best leadership books in their respective years. 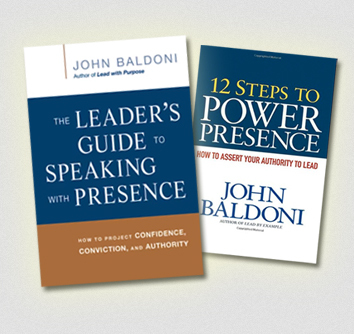 John Baldoni's leadership and coaching work centers on how leaders can use their authority, communications and presence to build trust and drive results. See the latest from John. Including publications, interviews, and videos. 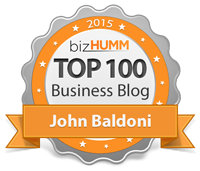 John Baldoni is an internationally recognized leadership consultant, coach, and author of 14 books that have been translated into 10 languages. 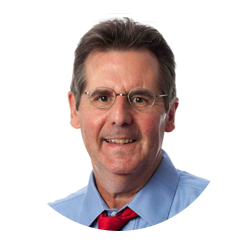 As a highly sought after executive coach and leadership educator, John has had the privilege of working with senior leaders in virtually every industry from pharmaceutical to real estate, packaged goods to automobiles, and finance to health care. 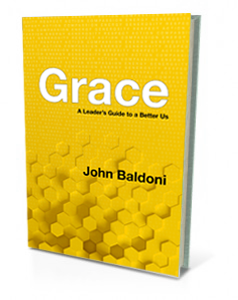 John’s newest book is GRACE: A Leader’s Guide to a Better Us. Focusing on grace as a secular force for helping women and men channel their purpose into creating the “greater good” for others, GRACE mixes stories of everyday heroes with interviews with noted thought leaders. The result are practical insights into generosity, respect and compassion--coupled with the energy and actions--it takes to deliver on these virtues. 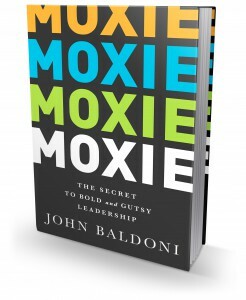 John’s previous book, MOXIE: The Secret of Bold and Gusty Leadership, explores the grit and determination leaders need to exert to overcome challenges. 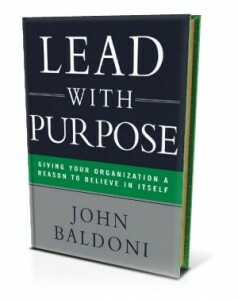 Blending real-life stories with research and interviews, John provides a roadmap for how leaders can lead with greater awareness, more determined purpose and focused engagement in order to achieve inspired results. MOXIE earned a coveted 4-star review rating from Success magazine. 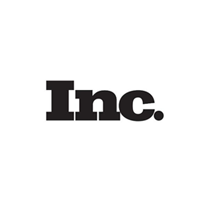 In 2018 Inc.com named John a Top 100 speaker. Also in 2018, Trust Across America honored John with its Lifetime Achievement Award for Trust. In 2019 Global Gurus ranked John No. 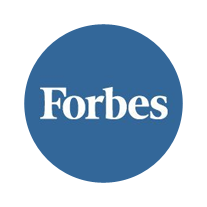 9 on its list of Top 30 global leadership experts, a list John been on since 2007. 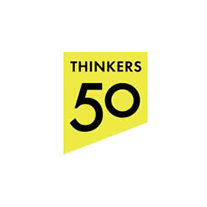 In 2014 Inc.com listed John as a Top 50 leadership expert. Through his books and his many columns for leading business publications, John has become a source of practical wisdom on topics such as influencing without authority, applying power appropriately, leading with grace and conviction, and developing genuine followership. All of these topics complement John’s mission to help individuals and their organization achieve positive results. Consequently John’s books have been translated into 10 languages including Mandarin, Hungarian, Arabic, Simplified Chinese, Russian, Indonesian, Japanese, Korean, Spanish and Vietnamese. GRACE: A Leader's Guide to a Better Us focuses on the role that grace plays as a catalyst in enabling us to create "the greater good" at work, at home and in our communities. GRACE tells the stories of women and men who are making a positive difference in our world by devoting themselves to serving as agents of positive change. GRACE is a clarion call for the goodness in the world around us as well as a practical guide to implement grace in your own life. 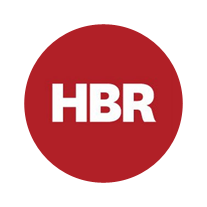 Lead With Purpose provides time-tested methods for ways leaders can unleash the power of their employees to achieve sustainable business results. 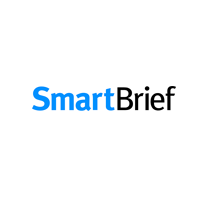 MOXIE focuses on the guts, gumption and determination leaders use to beat the odds. 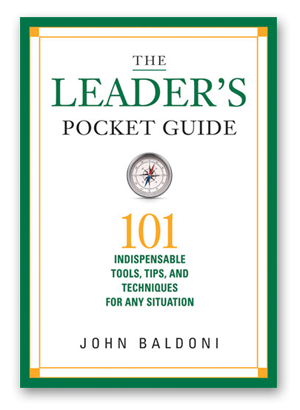 Through story and research — and real-world advice from experts — John Baldoni provides a roadmap to bring out the inner leader in everyone. John speaks widely to corporate, professional, military and university audiences about life-changing leadership. Those who attend John’s keynote speeches and workshops find his advice to be practical, motivational and inspirational. Mixed with stories of great men and women, and leavened with light-hearted humor, John seeks down-to-earth practical advice that individuals can apply immediately. John’s presentations blend his passion for leadership with genuine enthusiasm for helping people achieve their life ambitions. Authenticity is the “right stuff” of leadership! Leadership presence is something I coach regularly. Presence is the window to a leader’s character that he or she shows to others. Consider it the real you, the authentic self. Presence gives people a reason to believe in your leadership and follow your lead. It is a summation of your competence, credibility and confidence. Presence is developed and reinforced by words, but mostly by example. It is the ability to connect authentically with others. Strong leadership presence inspires trust. Learn to earn that trust through your words… and through your actions! © 2019John Baldoni All Rights Reserved.